Hello my doves! I have been on a mission to clean out my drawers and to pull out all the stuff that I have not reviewed yet for you all. There were so many things that I piled on just for review sake but never got around doing anything about it. But its time to tighten my belt and get cracking. So this little number is something that I use almost whenever I go out as it provides me that subtle day look. I bought this from either 99 labels or Fashionandyou (sorry bought it last year sometime so the details are fuzzy) as this brand was not available in India and I wanted to give it a go. It is actually a duo ie there is a lipstick and a lip liner present. Comes in a matte black thick pencil format with black plastic caps on both sides. The product would need sharpening. 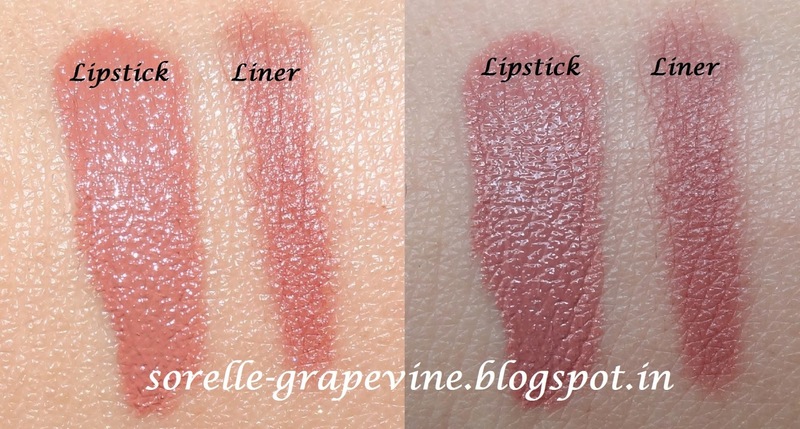 The texture is creamy for the lipstick and slightly dry for the liner. What I like about it is that it fits easily into my purse and reduces the number of stuff I need to carry for touch up. Very handy during travelling. 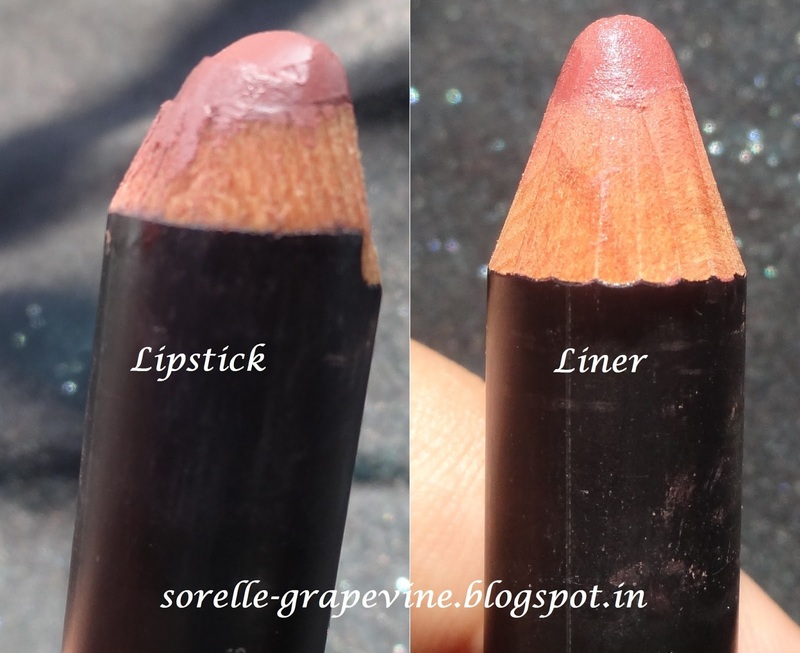 The color of the lipstick is a pinkish brown shade which is often referred to as an “earthy” pink and is glossy in look (does not contain any shimmer) and the liner is a slight shade darker and matte. 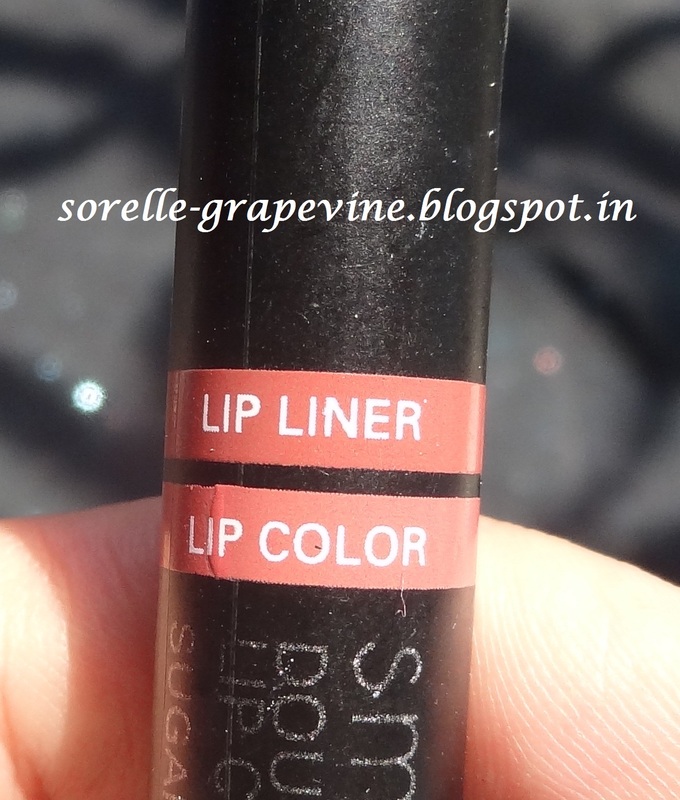 The color is quite pigmented and provides decent moisturization. An ideal shade for day wear. It is not transfer resistant but because it is thick in nature and sits a little heavily on the lips the need for touch up does not arises very frequently. But keep in mind that it does not sit heavily in the lines or the imperfections rather covers them in a layer. Price as far I remember was in the 1000-2000 bucks range. I have been using it for over a year (not everyday but like a minimum of one time a week) and have sharpened it just once. So for me this is going to last a long time. The only reason that I would not purchase this shade anytime soon it coz I will be quite bored with it by the time it finishes for me. I would like to try out the other colors from the range though. So that’s it for this review. I hope you found it useful. Your comments and suggestions are eagerly awaited and highly appreciated. Btw, in the process of cleaning my stuff I found a few products that I would like to sell off. I will put them up on the blog and FB page as well. The sale would be open for Indian residents only and for people who are 18+. I have products from MAC, Inglot, Body Shop, Bourjois, Clinique, Sleek, Maybelline that is just lying with me. So do let me know if you are interested and I will put up the pics for it soon. Take care! 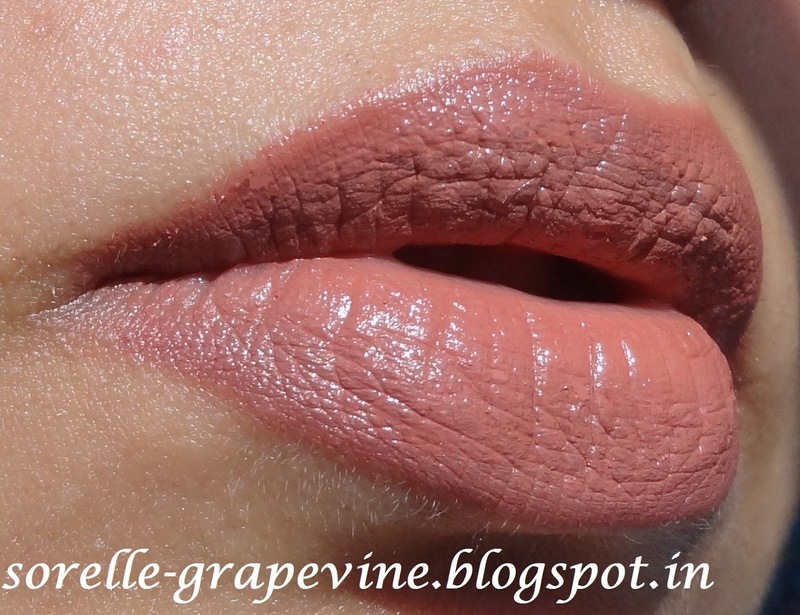 Would you purchase Smashbox Double Take Lip Color Sugar Spice again? – No I would not purchase this exact color coz I would be bored of it. I will try out other colors from this range. 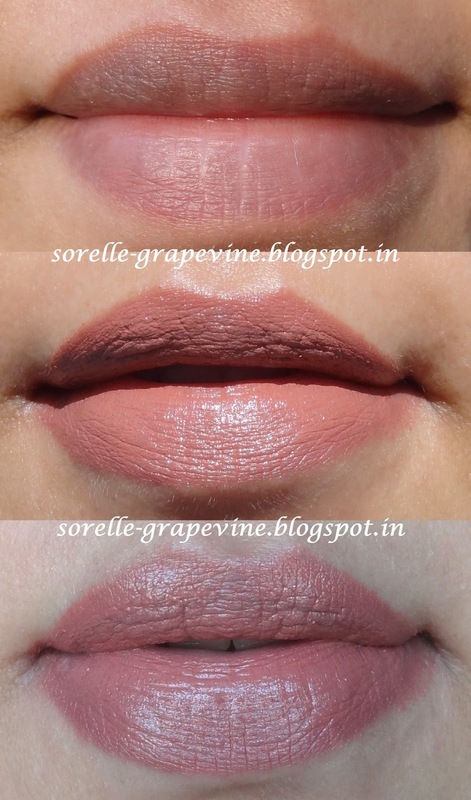 Would you recommend Smashbox Double Take Lip Color Sugar Spice to your friend? – The color is good so for that I would as well as the brand. But due to the price point, I think this shade can be easily duped so based on that I would not.